Seller wants it gone!. 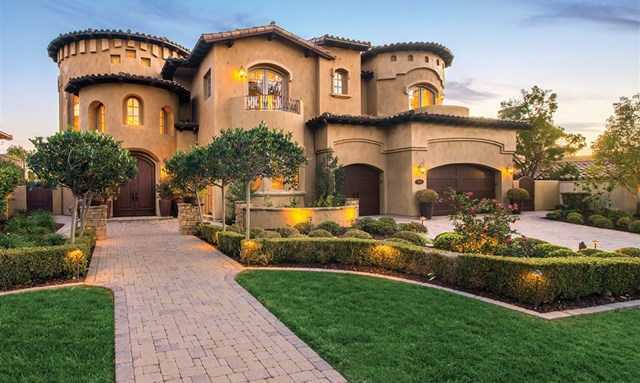 European-inspired estate with views of the 17th hole of Grand Del Mar and beyond. Gourmet kitchen has top SS appliances and refreshed cabinets. Huge family rm offers built-in media center with surround sound. Ensuite bedroom & office on 1st floor. 2nd floor features master suite w/expansive panoramic views and luxurious master bath. Additionally 4 bedrooms and media room, perfect for large families. Fine outdoor living with sparkling pool/spa, BBQ, fireplace, artificial turf & more! Please, send me more information on this property: MLS# 190006481 – $2,899,999 – 5539 Meadows Del Mar, San Diego, CA 92130.